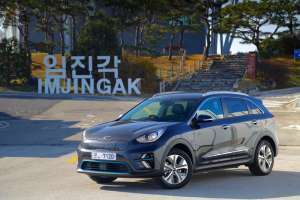 The new fully-electric Kia e-Niro will be priced from £32,995 when it goes on sale in the UK from 1st April 2019. It boasts a re-certified WLTP combined cycle range of up 282 miles on a single charge. 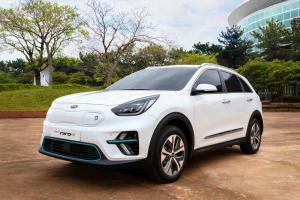 The fully electric version of the Kia Niro has been unveiled today at an EV Expo in Korea. The Niro EV is set to make its European debut at the Paris motor show this September. Imagine your CEO stands up in front of the world and bravely declares: "by 2020, we will reduce the average CO2 emissions of our range by 25 per cent." What do you do? If you work for most car companies, you’ll probably be forced to hunt through your existing range to find something into which you can shoehorn an electric motor and a stack of batteries. Kia's engineers, however, decided to do it differently. 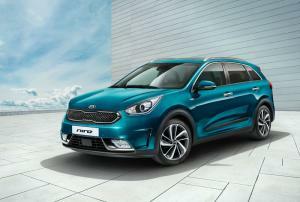 The result is the Niro. 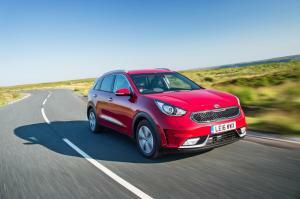 Kia used the 2016 Geneva Motor Show to show off two new models - the Kia Niro and Optima Sportswagon - as well as announce their new plug-in hybrid powertrain.